An Air Conditioning checkup is frequently overlooked by car owners because they tend to prioritize the engine and other essential components’ maintenance. As they ignore the developing issues of their air conditioners, it ends up coming back on them in the form of hefty fees that need paying, on parts and labour to get it repaired/replaced. Most of the things that cause aircon failures in vehicles develop over time, so it’s not common to notice sudden issues. But if you’re currently experiencing more noticeable signs such as loud or unexpected noises coming from your AC unit, ensure you get it diagnosed as soon as possible. Repairing your own air conditioning system is not a DIY job. In this scenario, your cabin air filter may possibly need replacing. If your AC is not blowing cold air, your first step should be to examine the air filter, however, take care to not get muddled between the cabin air filter and the engine air filter! They look quite similar but perform different functions, as you can probably deduct. In regard to locating your air filter, most cars offer access via the rear of the glove compartment, however, you can check your vehicle manual to be sure. When you have located it, if your air filter looks black, you will need to get it replaced. Pressing The AC Button Does Nothing. No one wants to be stuck in a car that smells like a gym locker. So, if you do get attacked with a pungent smell whenever you turn on the AC, the chances are the cabin filter is old and dirty, or it’s possible that your issue could be a mouldy evaporator. This happens when water is stuck in your evaporator case due to your case’s drain being blocked. If this is the case, mould can and will accumulate, which is anybody’s worst nightmare! Furthermore, other AC issues are sometimes due to mechanical complications. This could mean, compressor malfunction, defective compressor clutch, faulty pressure switch or a non-working valve that will lead to poor cooling or no cooling at all. 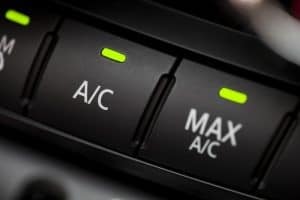 If the electronic components of the AC are the problem, it’s best to take your vehicle for proper diagnostics from a qualified Air Conditioning Specialist. We would be happy for you to book your vehicle in with Sinspeed and we will work on diagnosing and fixing your air-conditioning issues in no time! Tags : Aircon Problems, Aircondition Solutions, How to Check Broken Aircon.